The people of Silwan, East Jerusalem, were on red alert on the morning of June 23rd, as rumours spread the neighbourhood that the army was set to arrive to demolish houses. 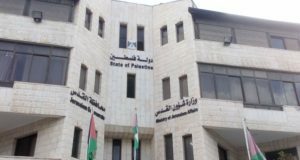 This was based on warnings from the Palestinian Authority, a journalists tip, and the fact that many special police forces were visibly analysing the road crossings the night before. ISM volunteers joined residents of Silwan in the early hours of Tuesday morning in expectation of the bulldozers arriving. Ultimately, they never came, but the Palestinian residents of Silwan continue to live in fear of their homes being destroyed. In the Bustan neighbourhood of the area 88 houses are planned to be demolished to make way for a new planned Archaeological Park. Renewed demolition orders were given to families recently but resistance to Israel’s policy of ethnic cleansing remains fierce amongst Palestinian locals who have lived in their houses for generations. Meanwhile, in the Isiwiye area of East Jerusalem, there were reports of the army entering the town and closing off part of the area. 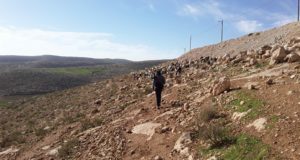 Activists arrived and were greeted with the sight of around 25 soldiers (from the border guard) who had cut off access to 2 Palestinian houses and the hill behind it. The police were mounted on horses whilst soldiers has large dogs with them and attempted to use them to scare people from the site. 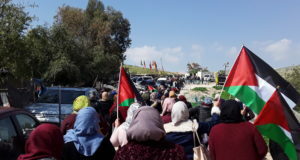 When the activists attempted circumventing the soldiers to see what construction/destructive work was occurring, they were blocked by the police and refused permission to climb the hill. When press arrived in an attempt to discover what the commotion was about, they were grudgingly given permission to climb the hill and photograph the construction site. According to journalists at the site a ramp-like structure was being built which could serve to cut the outlying houses off from the empty hill behind it. This would allow the adjacent hill to be used for future settlement construction which local residents fear is happening. Israeli construction in East Jerusalem is illegal under international law, specifically the 4th Geneva convention that obligated the occupying authorities, Israel, to maintain the geographic and demographic characteristic of occupied East Jerusalem.